The U.S. Department of Agriculture (USDA) is pleased to announce the 2012 Norman E. Borlaug International Agricultural Science and Technology Fellowship Program (Borlaug Fellowship Program) for Indonesia. The Borlaug Fellowship Program promotes food security and economic growth by increasing scientific knowledge, advancing the transfer of new agricultural technology, and encouraging collaborative research to improve agricultural productivity. It offers training and collaborative opportunities to agricultural scientists, faculty and policymakers. Each Fellow works one-on-one with a U.S. mentor who coordinates the Fellow’s training. After completing the U.S.-based portion of the fellowship, the mentor visits the Fellow’s home institution to continue collaboration. The 2012 Borlaug Fellowship Program is administered and funded by USDA’s Foreign Agricultural Service (FAS). 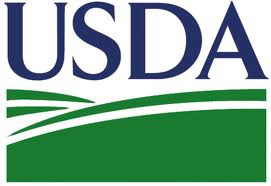 USDA selects U.S. mentors and host institutions for each Fellow. Address obstacles to the adoption of technology such as ineffectual policies and regulations. Fellowships are between six to 12 weeks in length. All program proposals should include goals that are achievable within the timeframe. After completing the U.S.-based portion of the fellowship, the mentor visits the Fellow’s home institution for up to 10 days to continue the collaboration. Experience and focus in Food Safety, Agricultural Extension, or Postharvest Techniques. Please include all application materials in one PDF document. The application deadline for the 2012 Borlaug Fellowship Program for Indonesia is January 4, 2012. Demikian kami sampaikan tentang USDA Borlaug International Agricultural Science and Technology Fellowship for Indonesia semoga informasi tentang USDA Borlaug International Agricultural Science and Technology Fellowship for Indonesia ini bermanfaat.